Every component of SEO impacts ranking and visibility. Paying mind to only two while ignoring one can negate the work you’ve done moving forward. At DFW SEO, we believe in a complete online presence. That’s why we include each SEO element in our services. Not only will your on page content be optimized, but so will your off site content, and the technical aspects of your primary website. 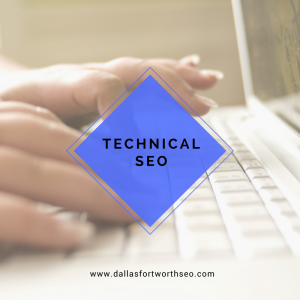 To learn more about technical SEO and how it can help you website succeed in 2018, give us a call at 800.231.4871. There’s some disagreement about the impact of technical SEO on ranking and visibility. At DFW SEO, the evidence is clear, and the impact is real. Google has essentially endorsed this concept with their mobile speed initiatives, including their latest tools to help websites start winning on mobile. It’s hard to ignore the effect of loading speed on user experience and subsequently on ranking position. As Google’s algorithm gets more sophisticated, producing the most technically sound website possible will become an even greater priority. Using the robots.txt file, web developers can optimize website crawlability. To put it simply, there are certain pages you wan’t Google to index, and certain pages you don’t. Facilitating each of these wants is part of technical optimization, and a task included in the services of DFW SEO. Obsolete pages with low ranking potential are strong candidates to be disallowed. In contrast, your most appealing pages should be easily crawlable, with the objective of being indexed on Google SERPs. Because technical SEO is inherently “technical” the presence of a knowledgeable web developer is ideal, if not required. Dallas – Fort Worth SEO has several web developers on staff ready and eager to help your company website reach its fullest potential for 2018 and beyond. When collaborating with our SEO and content teams, as well as our PPC advertising group, the sky’s the limit for your DFW business. To learn more about technical SEO, and how it can improve lead generation, call 800.231.4871. Updated on April 10, 2018 at 2:51 pm by Dallas / Fort Worth SEO.